This is a good quality liquid flux. Solder Paste also known as Flux is a very important part of soldering. Flux is necessary to reduce the oxides that tend to form whenever you have hot metals in contact with the air. No Carbon After Soldering & Desoldering. Results In Perfect Quality Of Soldering. 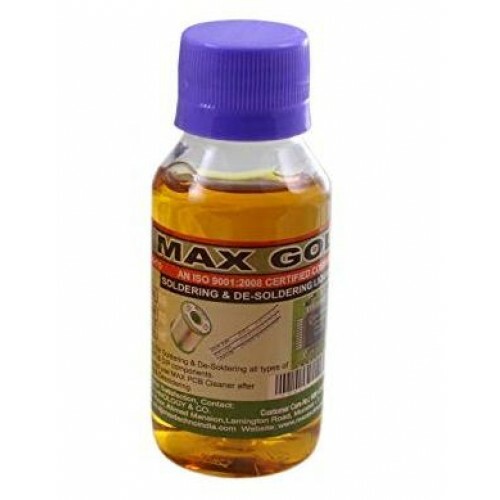 Solder wire 50 gramsIf you want to make any circuit you will require solder wire (unless you are usi..
Soldering Iron 25 wattThis is a low cost 25 watt soldering Iron also called as soldering Gun. 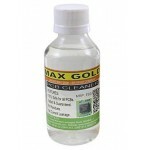 This i..
Max PCB CleanerThe main function or purpose of PCB cleaner liquid or chemical is to remove dirt, dus..